There are three distinct sections to Ender’s Game that can directly apply to interactions in the business and social media worlds. 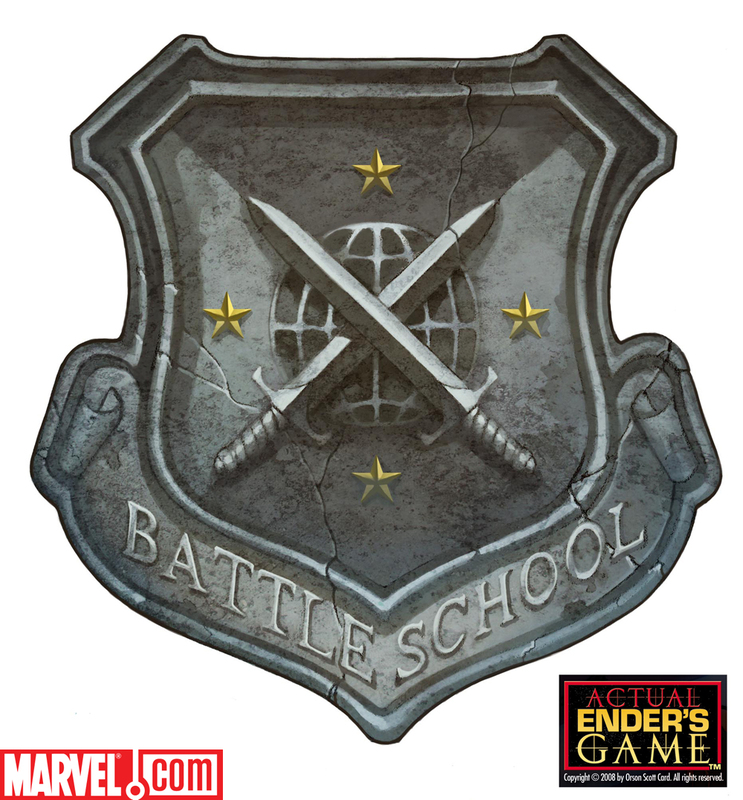 I will be exploring Ender’s time at Battle School and Command School, and the activities of his brother and sister while Ender is away at these schools. For those have read Ender’s Game, you will notice that I selectively abridge the story to focus on the parts of the story that apply to my points. And if you haven’t read Ender’s Game, I highly recommend it. After barely defeating the insect-like Formic race from destroying mankind, the International Fleet believes that children are the key to defeating the Formics a third time and begin training them in military tactics. By taking them at a young age, they have no preconceived notions about how things should be and gives them an advantage over the adults. The internet has changed the way we communicate with others. Advertising used to broadcast out to everyone and hope for a response. Under the new model, people on Twitter and Facebook want a say in their brands. They want to open communication and converse with their brands. They want to be heard and they someone to hear their complaints (and even respond to their compliments). When people hear back or get retweeted by Starbucks, it makes them happy to know someone is listening. When Ender is brought to Battle School, the officers in charge recognize him as the smartest and having the most potential, so they begin to isolate him from the other students by pointing it out. They create a schism between him and his fellow students so that he has an uphill battle gaining their respect. Creating your brand and putting it online is a battle unto itself. Unless you already have a major brand that people have decades of recognition, you need to build your fanbase. People can be resilient to new ideas. You not only need to introduce your brand to your audience, but you need to let them know why they want it and how they can be a part of it. If you have a good product and can open the lines of communication, people will start to listen. In his down time, Ender plays a game that the school supplies to the students on their personal tablet type computers. The game learns as he plays it and it adapts to him. Through repetition and creativity, Ender slowly works himself through the game. The game teaches that through trial and error and creative thinking, any adversity can be overcome. Like Ender, we all grow frustrated as we face adversity. If things aren’t working one way, we must step back and reassess the situation. Rethink the problem and then try the most unusual, creative solutions. Just because you think something will automatically work because someone else did it, it may not work for you. The people you are reaching out to may have seen it before too and become jaded towards that approach. Just because Gary Vaynerchuk was successful by making videos and bringing wine to the masses doesn’t mean you can do something similar. You need to be creative, find your strengths and see how you can trailblaze in your own way. In addition to studying military techniques, the students play a zero gravity battle game. Ender quickly begins training students in his unique techniques and then is given his own army to lead in the games. The first technique that Ender devises is that the enemy’s gate, where they enter the game across from Ender’s team, is down. Social media and business are big worlds. The first thing you need to do is find your focus and know what direction you need to go in. By declaring “the enemy’s gate is down,” Ender knew where he was going and which direction to face no matter where he was. Once Ender knew where he was going, he was able to create unique battle plans with his team. With teamwork, Ender came up with ideas like shooting his legs in the game and to use them as shields or having some teammates shot to freeze them in their zero gravity suits to use as shields. He was doing things no one ever thought of before because no one would expect it, and of course his opponents adopted his techniques once they saw them. Don’t be afraid to try new things and experiment with what works. And like Ender’s opponents, see what others have done and what works and adapt them to into your techniques. As the adults who run the Battle School wear Ender down, he turns to his classmate and subordinate on his team, Bean. Bean is smaller and younger than Ender, but also one of the sub-commanders in Ender’s Dragon Army. Ender tells Bean to train with his team and come up with some unique ideas for them to use. Bean comes up with the idea to use ropes to whip around objects in the zero gravity battlefield and come up quickly behind their opponents. By giving the members of his team a degree of autonomy and to come up with their own plans, he opened up a whole series of potential plans that he would not have thought of on his own. Never be afraid to give the people around you a voice. Google allows their employees 20% of their time to explore any ideas they want, which is what created Google Labs. Some creative ideas have been released by Google because they let their employees have the freedom to create whatever they wanted and some of these ideas are released to the public. Some as full apps and others as quirky add-ons to existing Google products. Ender faces great adversity in his time at Battle School, from interpersonal conflicts to the constant trials the adults put him through. Through sheer will and ingenuity, Ender overcomes the adversity and is able to graduate from Battle School to Command School, albeit at great physical and mental cost. By keeping focus and being creative, any problems can be overcome and can build any business using the tools available, using them in new and creative ways, and making a name for yourself by making use of the people around you and the people you reach out to and those that reach out to you as you build yourself to be as successful as the Dragon Army.